Tinker Hatfield could be inspired by anything when it comes to the Air Jordan line. On the Air Jordan 7 when Tinker was in Portland, he saw a poster that was African art, influenced by an Afropop Worldwide. The person in the poster was playing a guitar shaped like Africa. Around the time when Tinker was ready to design the Air Jordan VII Michael sat down with him and mentioned that he wanted the shoe to “stay young and interesting, while remaining sophisticated”. Tinker had now went inside the store and asked to purchase the poster, but the owner did not want to sell it because he was advertising a radio show and the Afropop music. Tinker had now told him he worked on the design of the Air Jordan line. The store owner decided to sell the poster to him for $15. All the lines on the Air Jordan 7 were influenced by Western African tribal patterns, which were on the poster. 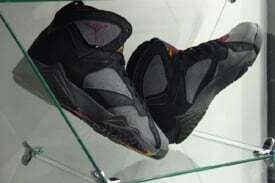 The Air Jordan VII was also worn by Michael Jordan in the 1992 Barcelona Olympics. Nike had made a special “Olympic” color way, and instead of the number “23” there was 9 on the back. 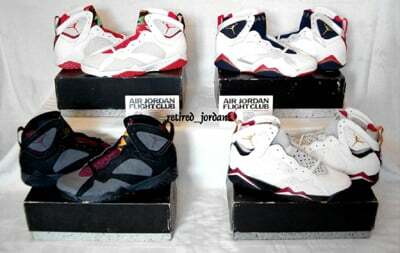 In 1992 Nike had released five color ways of the Air Jordan 7. They sold for $125.00 each. 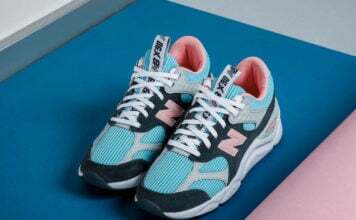 In 2002 two more models came out retailing at $125.00. In 2004 the Olympic VIIs came out and sold for $130.00. Now in 2006 four models released which sold for $135.00, and one women’s model sold for $130.00.